It’s been announced that just like the previous games, The latest Dead Rising game allows you to go postal on zombies while in cosplay. When you complete the game, you can unlock the costume. Beat the game again in Nightmare Mode, you unlock the X Buster. This is pretty funny because, just yesterday I reported that Capcom is putting Megaman in their new crossover game. 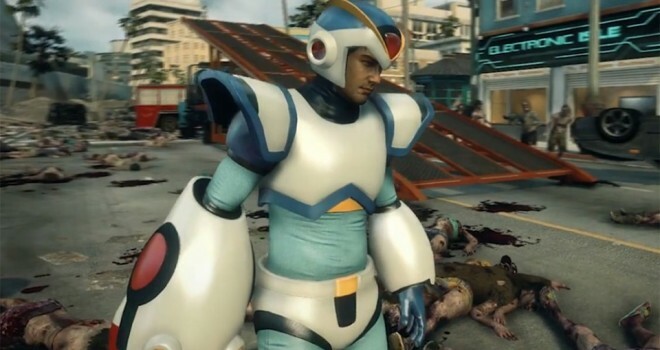 Granted, Capcom hasn’t made a Capcom game since Mega Man StarForce but unlike everyone one the internet that likes to complain for the sake of complaining, I’m not gonna cry about Capcom not making a new Megaman like everybody else, because I’m too focused on my hundreds and hundreds of other video games to play that I’ve yet to play or haven’t come out yet. I like to think that I’m a voice of reason. Dead Rising 3 comes out November 22 to go hand-in-hand with the Xbox One.